Smartphone, bikes, Home appliances and numerous more for our customers. We offer stunning installment plans at the most reasonable costs on every one of the items. Shopping has turned out to be boisterous free and is likewise directly under your month to month spending now with dreams.pk. You would now be able to purchase any television on EMI or cash here on this site according to your budget. Buy televisions on EMI at the simplicity of your home, sitting wherever you are and getting the best arrangements around the local area. The online portion in Pakistan has never been this simple and reachable. Dreams.pk enables you to purchase on schedule payments with zero down payment all your loved items through a dependable channel. Pakistan’s leading online leasing website is owned by Awais Farooq. He is also the proud owner of Pakistan’s first online comparison site “Comparebox”. Dreams.pk have a huge accumulation of mobiles, laptops, home appliances, LEDs, Tablets and significantly more. You say the brand and dreams.pk will have it. Regardless of which brand television you need, dreams.pk has a tremendous assortment and gathering from multinational brands to local brands. Regardless of whether you’re searching for a LED, PC or motorbikes to purchase on easy monthly installments with zero markup in Pakistan, you should simply visit Dreams.pk and it will be yours. Dreams.pk is one of those effective online stores that enables the customers to purchase their items both on lease and cash. We offer distinctive reasonable and adaptable plans for televisions on monthly installments om diverse brands. Multiple brands accessible on dreams.pk include Sony, Samsung, LG, Haier, TCL, Orient, ChangHong Ruba and many other. This implies now anybody can buy their television on portion in a protected way. Along these lines buy of LED on installment has turn out to be much helpful for everybody. The LED rather be a Samsung, Sony or a TCL, all the best and most exceptional LEDs are accessible for our consumers. It offers adaptable installment plans as per your financial budget. You can likewise make zero down payment, to get your item on lease in an easy way. You can even get competitive installment plans for all brands televisions without intrigue. Here on this site you can get LED TV on installment in Pakistan and other home appliances as well. Numerous clients in Pakistan, trust that the items they buy on lease or money from various online stores are not of good quality. In any case, here at Dreams.pk we ensure this isn’t the situation. We have coordinate contacts with the official merchants of every single best brand LEDs, mobiles and different home appliances. This will guarantee our clients to get genuine products both on monthly installments and cash with authority guarantees. If you are in need to buy new televisions on installments, Dreams.pk is absolutely the best choice. In addition, Dreams.pk is additionally considering among the best sites that arrangement with LED on installments in Pakistan and on money. 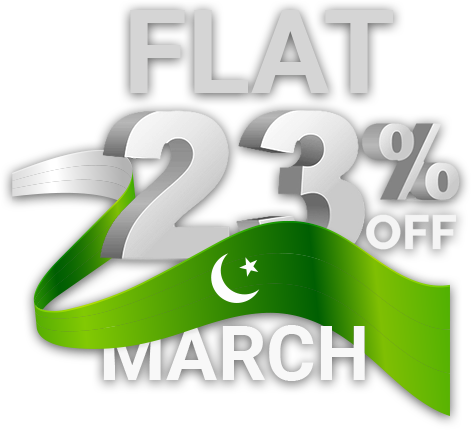 The rates offered here on televisions are economical when contrast with other online leasing sites or stores in Pakistan. Dreams.pk additionally enable you to track your requests that have been dispatch by us and that too by straightforward advances. You should simply click your request history on our site and check status of your request. With an advanced television market in Pakistan, there are many local to multinational brand televisions available for consumers. So, are you tire of going to the markets to find your suitable rates or deals, can’t take out time to visit those crowded local stores or markets to buy your favorite and latest television on installments and are unable to find your favorite LED or product anywhere? Stop your search right here, because the solution to your problems is dreams.pk as it is the best website for televisions on installments in Pakistan. Hence buy a local or multinational brand television on installments online through the best LED TV installment’s website in Pakistan.